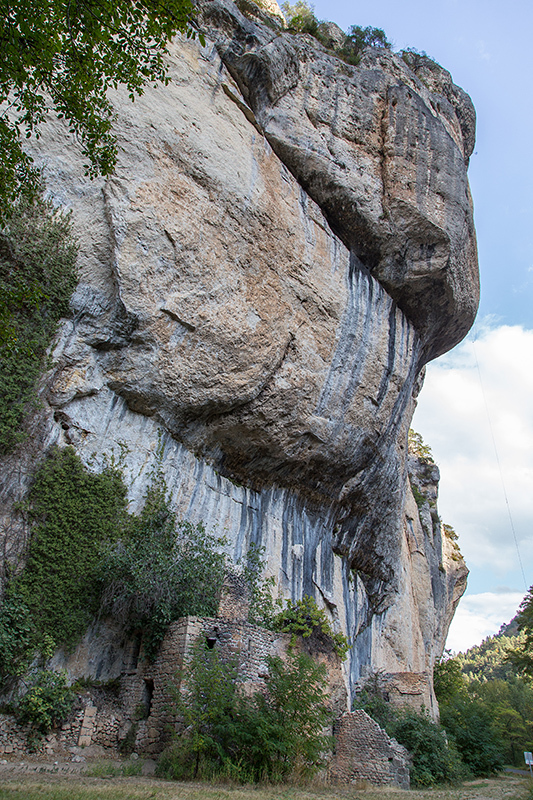 Les Gorges du Tarn sont parsemés de villages ancestraux où les vieilles maisons de pierre s’agglutinent à flanc de falaise. En voici quelques uns parmi les plus importants. 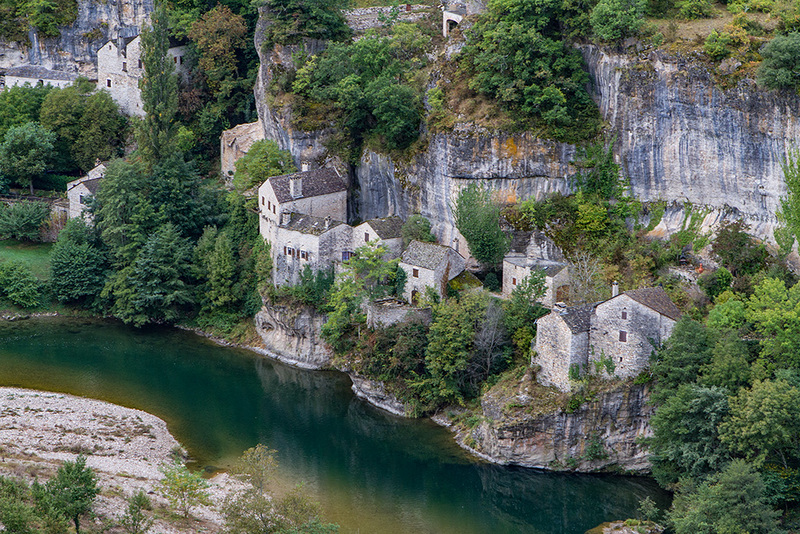 The Gorges du Tarn are dotted with ancestral villages where old stone houses cluster on the cliff. Here are some of the most important ones. Hauterives: Un hameau qui n’a aucun accès routier étant situé sur la rive opposée à la route principale. Il est accessible par barque pour les personnes et par un petit téléphérique pour les marchandises (quoiqu’il était en panne depuis plusieurs mois lors de notre passage.) Il y a aussi des sentiers pédestres qui partent de Sainte-Énimie ou de La Malène pour l’atteindre. Nous sommes passés sur la route qui le surplombe à deux reprises; la première fois le temps était nuageux mais la deuxième il y avait de belles éclaircies. / A hamlet that has no road access being located on the opposite shore to the main road. It is accessible by boat for people and a small cable car for goods (although it had been out of services for several months during our visit.) 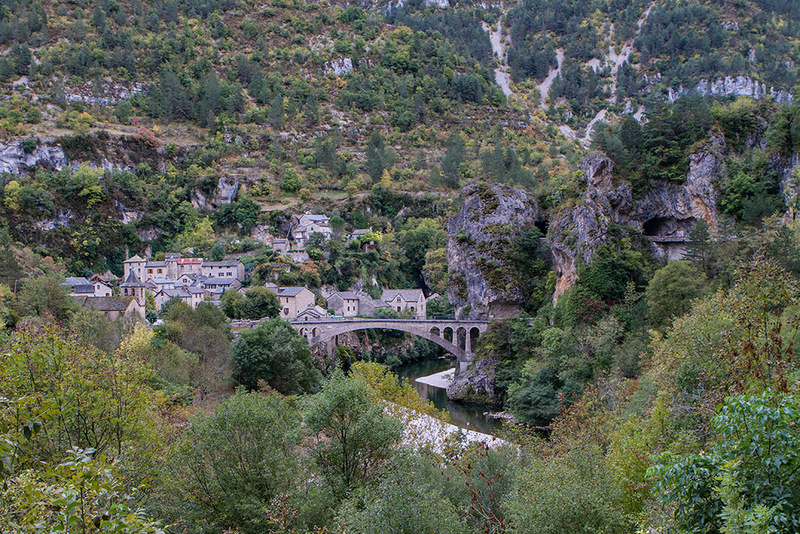 There are also hiking trails that leave Sainte-Enimie or La Malène to reach it. We drove on the road that overlooks it twice; the first time the weather was cloudy but the second was sunny. 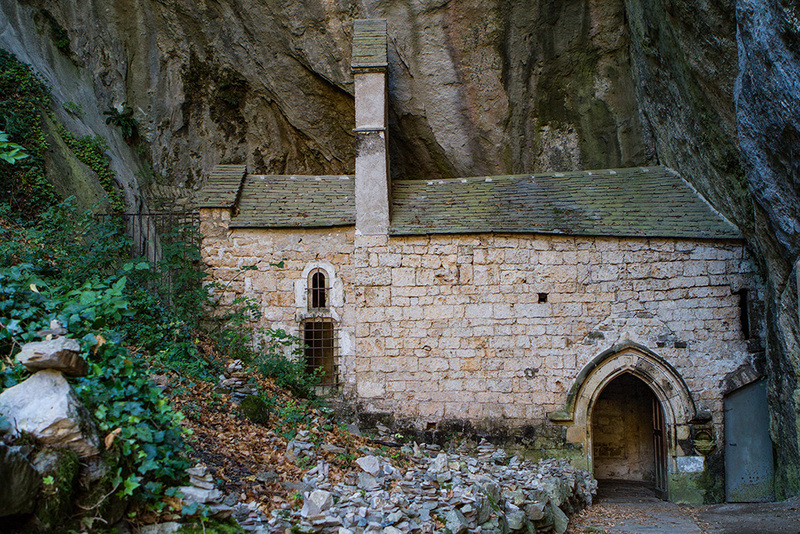 Saint-Chély-du-Tarn: Un village situé dans le cirque de St-Chély qui possède une charmante église semi-troglodyte. 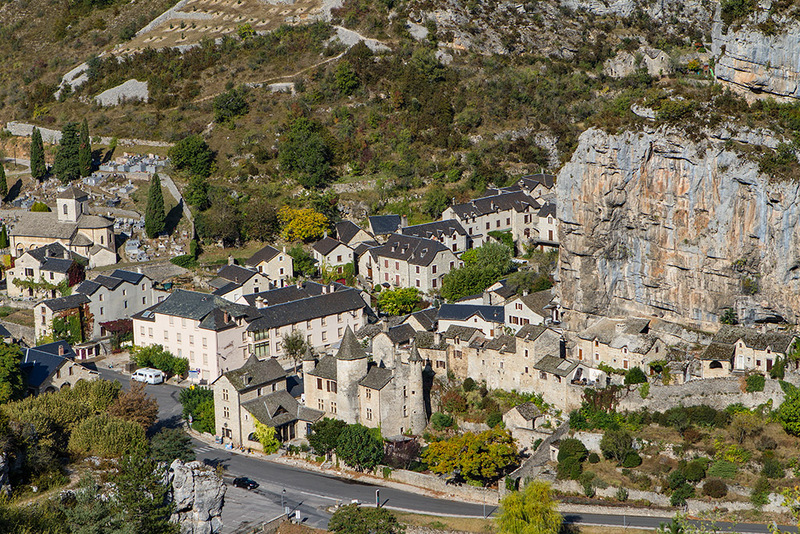 / A village located in the Cirque of St-Chély which has a charming semi-troglodyte church. 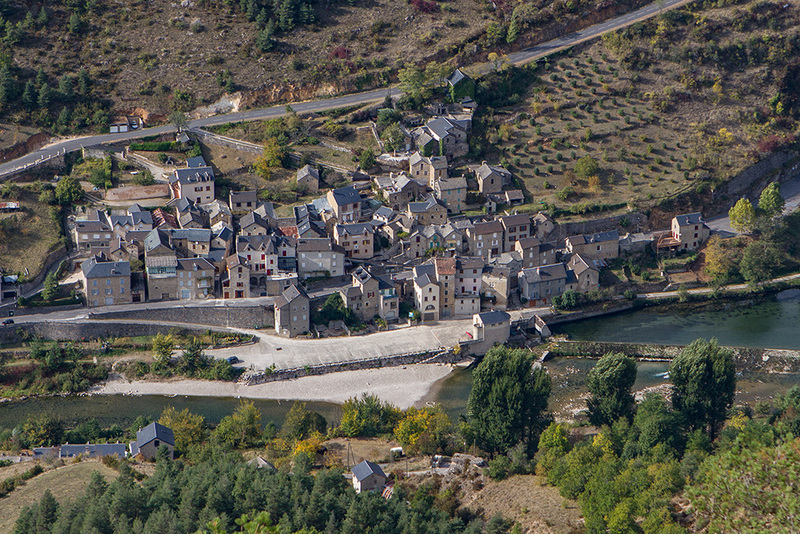 Castelbouc: Ce village accroché à la falaise est accessible par un pont à une voie. La falaise a été utilisé comme mur de fond pour les maisons. 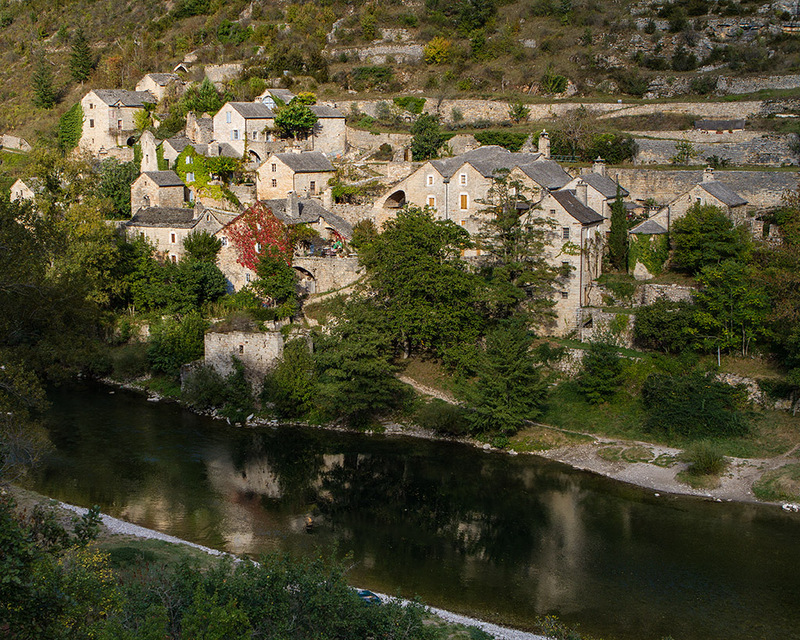 Nous nous sommes contentés de l’admirer à partir de la rive droite du Tarn. 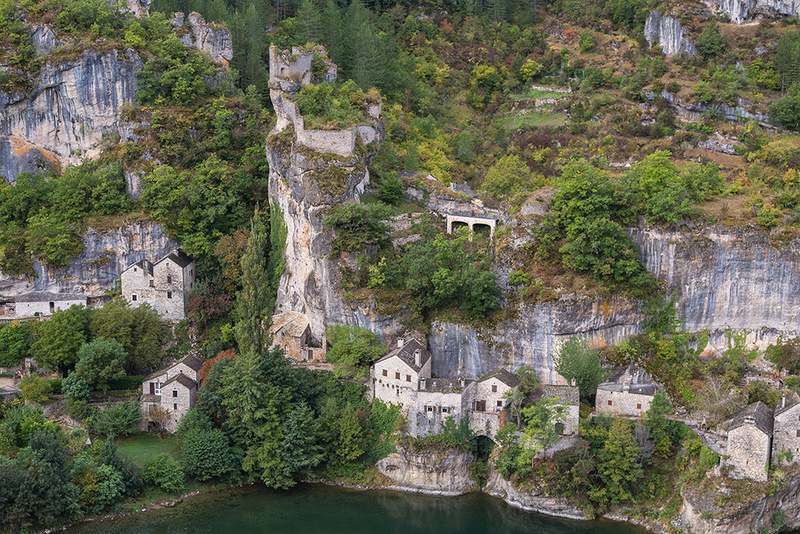 / This village clinging to the cliff is accessible by a single-lane bridge. The cliff was used as a back wall for houses. We were content to admire it from the right bank of the Tarn. 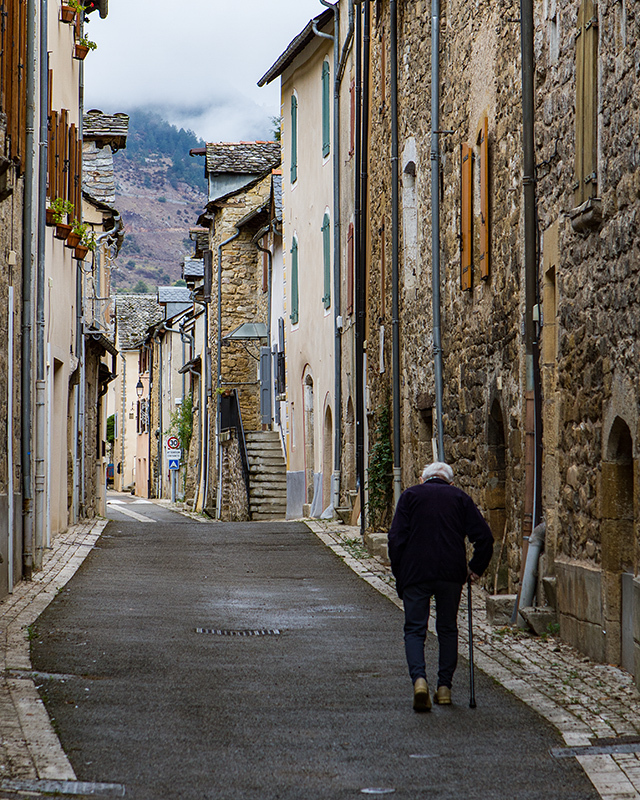 Quézac: Ce village possède un pont gothique (en restauration lors de notre passage) et quelques rues très charmantes. 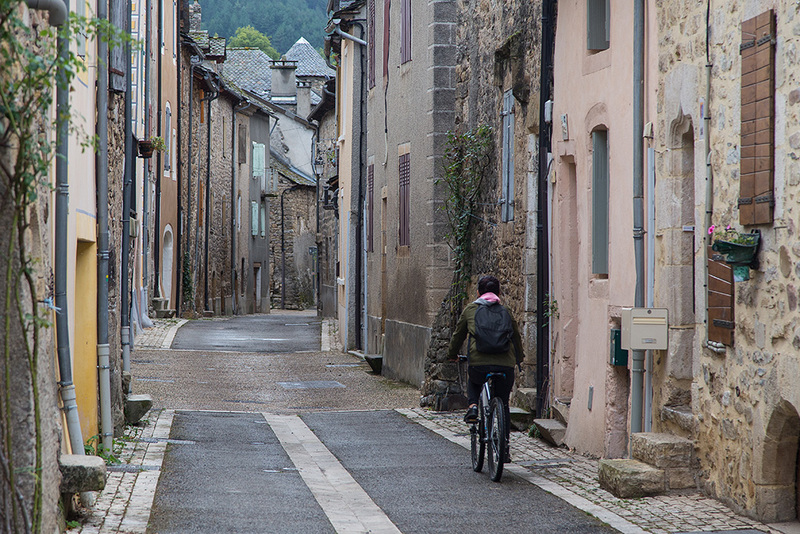 / This village has a Gothic bridge (in restoration during our passage) and some very charming streets. 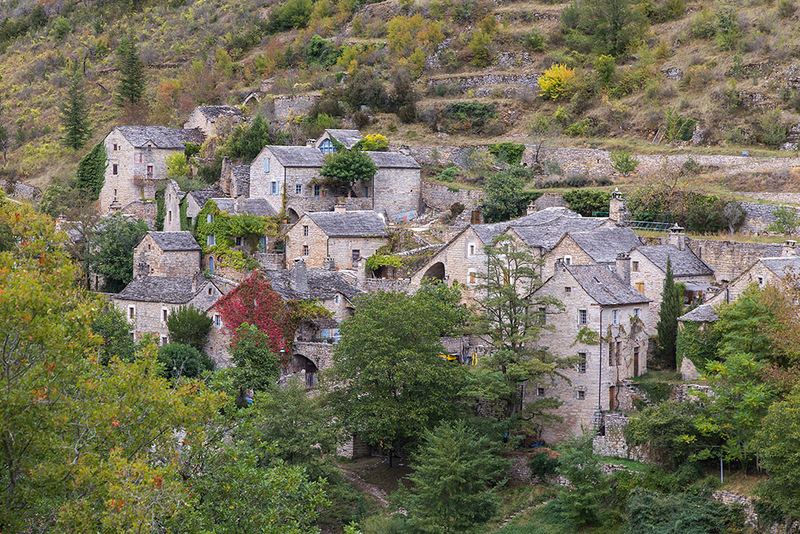 La Malène: Un village à la jonction de plusieurs routes qui traversent les Gorges du Tarn. 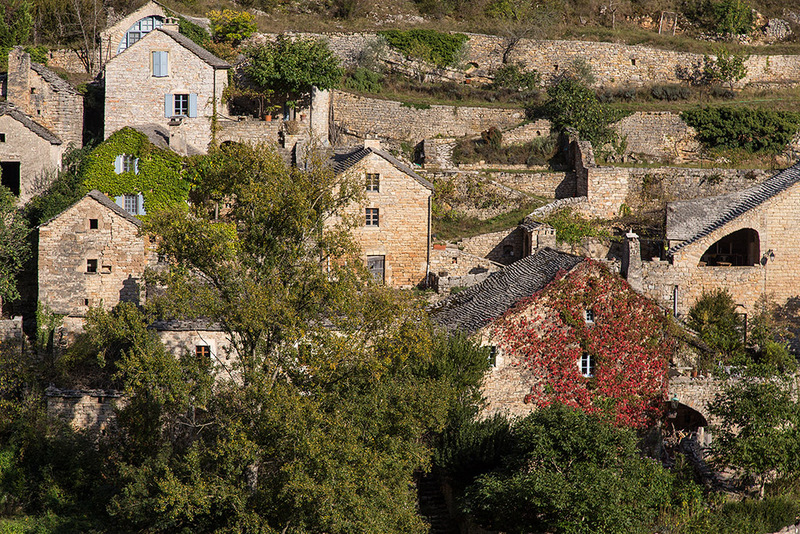 / A village at the junction of several roads that cross the Gorges du Tarn. Les Vignes: Situé sur les bords du Tarn, il faut prendre des routes en lacets pour le rejoindre. 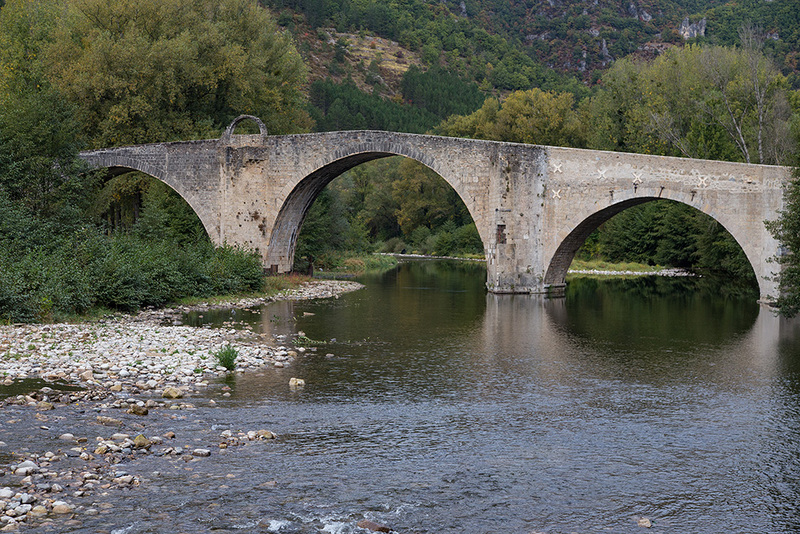 / Located on the banks of the Tarn, you have to take winding roads to reach it. 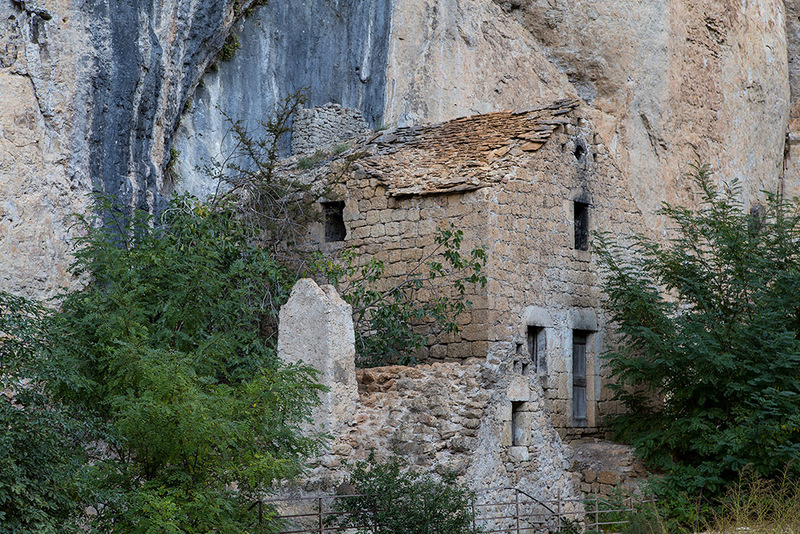 Hameau abandonné sur Route D907bis: Quelques maisons semi-troglodytes en ruines. / Some semi-troglodyte houses in ruins. 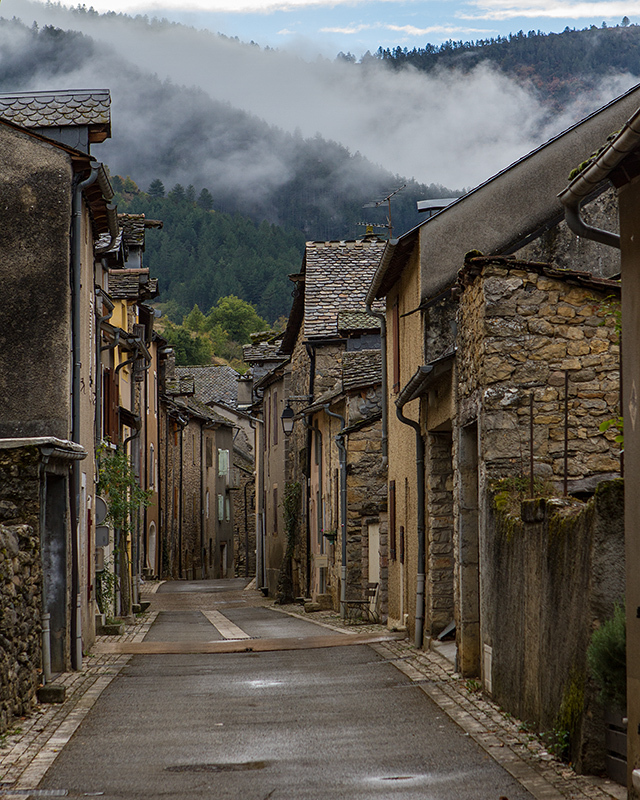 These villages always make me wonder who lives there and what do they do. It’s kind of like the remote villages of Newfoundland where the residents are slowly moving away – what will happen to these? Thanks Jacqui. I had the same thoughts. I don’t think that all of the houses were occupied but there were people living there. You certainly need to like solitude and like your few neighbours! 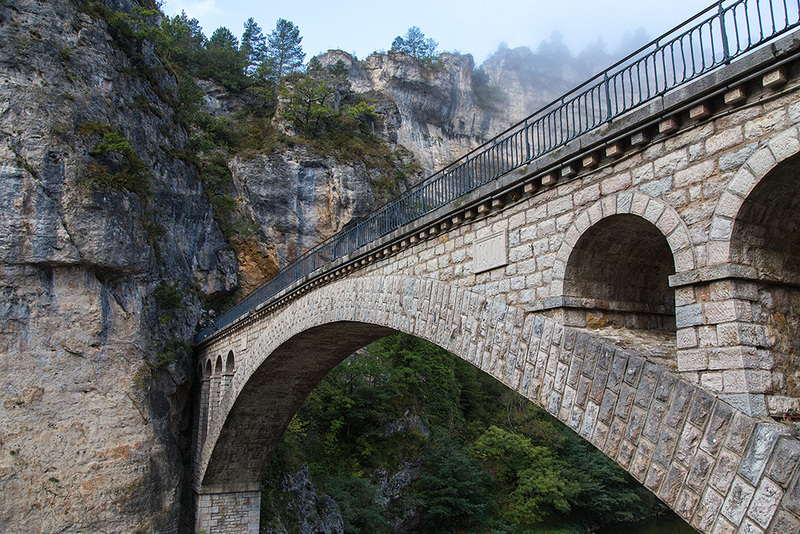 This is a fascinating part of France that I have never visited. 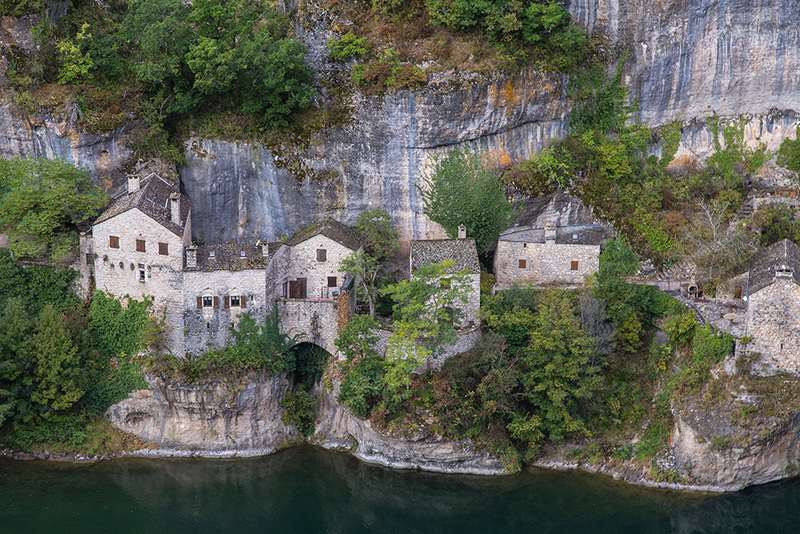 Those houses built into the cliffs are truly amazing. I wonder if it’s possible to see them by traveling on a houseboat or other kind of boat along the Tarn? Thanks Mel. I don’t think the Tarn is ever high enough to have river boats on it but there are canoes and kayaks that you can be used in the summer. So I am assuming that you can see these villages from the river. The river level was very low in October after a very dry summer. Beautiful photos, thank you for sharing! Thanks for your note. Glad you enjoyed this series. What an ancient feel this place has. Amazing! Thanks Eliza. They were quite fascinating villages. Amazing – beautiful photos. I love how these buildings have withstood time. Thanks for your note. I am so glad that you have enjoyed this series. The buildings were indeed very interesting. Another incredible set of places. 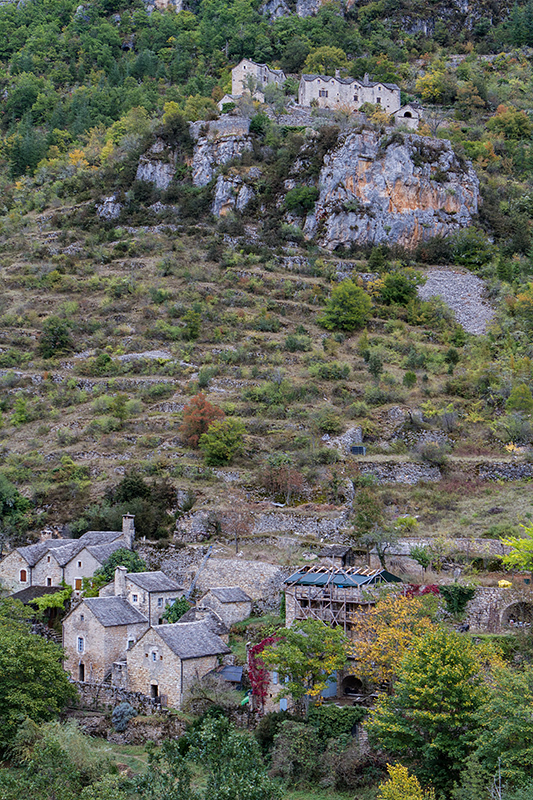 The landscape dominates the dwellings. It must shadow the residents’ existence. I suppose there are not many young people there either. Thanks Sherry. They were indeed very fascinating villages. I don’t really know the population composition of these villages so can’t tell you if there are young people or not… but you may be right.